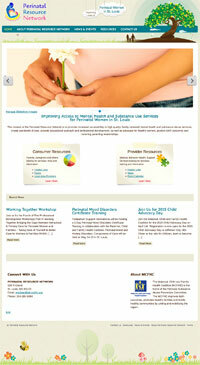 I just love this sweet delicately designed website for the Perinatal Resource Network. This website provides information and resources to mental health and substance abuse services for perinatal women in the St. Louis area. For this website we used a beautiful WordPress theme with whimsical little design touches and imagery that fits perfectly with the beautiful mission and work of this customer. This website has actually been live for about a month but I’ve waited to announce it because we are still waiting for some content on several pages. But I just can’t wait any longer to reveal this wonderful website!